Rare opportunity!!! 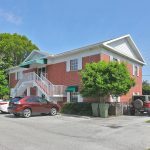 Former gastro pub in the heart of Downtown Stuart is currently available for lease. Excellent space is already built out for a bar/restaurant, plenty of seating, perfect for a good experienced operator. Site includes liquor license. Prime location surrounded by shopping boutiques, professional businesses, and residential. Deal won’t last long!! Contemporary concrete block plaza has great exposure to US Highway 1 in Fort Pierce. There are currently two spaces available ideal for professional offices, healthcare professionals, and retailers. 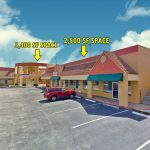 Option to lease both spaces at a total of 10,000 sf. Site features monument sign and ample parking spaces! There are six (6) 1,000 sf spaces available. 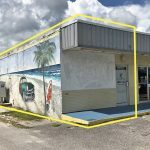 Ideal spot for a variety of tenants including: offices, retailer, beauty salon/barber shop, repair services and other under CN Zoning. Prime location on the corner of Midway Rd. and Oleander Ave.
Site features monument sign, ample parking, and two access points. 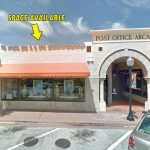 Rare opportunity to lease a retail storefront in the heart of Historic Downtown Stuart! Currently built out for a boutique retail, with potential for office use or other commercial uses. Prime location surrounded by shopping boutiques, professional businesses, and hot dining spots. Big changes are happening in the Downtown area including a streetscape improvement project to be completed by late Fall 2018. There will also be waterfront residences with construction underway. 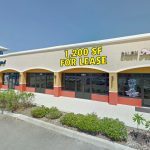 A great opportunity to lease a 1,200 SF end cap space ideal for a retailer or quick service restaurant. The space was formerly a Subway restaurant so it’s already built for a QSR. Located at the Home Depot Plaza between St Lucie West Blvd and SW Cashmere Blvd. Site has ample parking and signage. 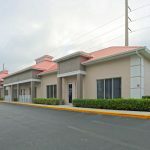 Situated near the shopping district of St. Lucie West, surrounded by several residential communities, and can also be easily accessible from the Crosstown Parkway. 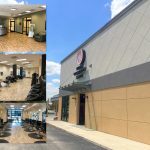 Excellently built-out salon space located in the Virginia College campus. Site is ideal for cosmetology services as it features an ample service area, storage room, reception area, private offices, plumbing hookups, and wheelchair accessible restrooms. Very clean and well-maintained space with modern features such as hardwood flooring and elegant fixtures. Space does not include equipment. 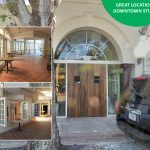 Suitable spot for an assortment of uses ranging from professional offices to a service establishment and more! 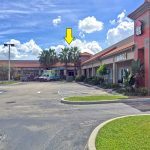 Excellent sublease opportunity!! Great end cap corner space ideal for a small retailer or professional office. Site features high exposure to US-1, fresh and modern façade with new impact windows and doors, double signage, it is a must see! Only about 1 year left on sublease with option for renewal. 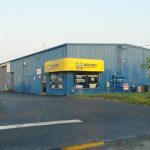 Located near National tenants such as Walmart, Sam’s Club, and others. 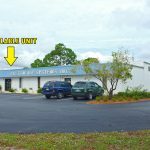 Spacious warehouse unit in the desirable industrial area of Port St. Lucie. 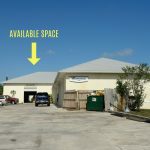 Unit features 10% of office/showroom space, 90% warehouse in the rear with two roll up bay doors, handicap accessible restroom, and three-phase electric. Excellent accessibility from US-1 and Walton Road, and will also connect to the crosstown parkway extension project currently under construction. 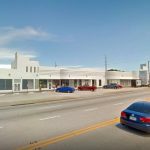 Recently upgraded 2,100 sf freestanding medical office space at the corner of Avenue E & N 7th St. The site has a brand new A/C system, fresh paint, and it’s completely move-in ready! 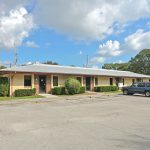 The property features a large reception area, ADA bathroom, 5 treatment rooms with cabinets & sinks, 2 offices with restrooms, kitchen, large community room with kitchenette, front & back entrances, handicap accessible, ample parking in front and on side Near US One and downtown Ft Pierce. The Quincy Professional Plaza currently has one vacancy available ideal for a professional business or medical use. 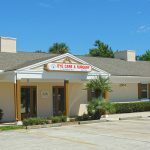 Located within close proximity to the Lawnwood Regional Medical Center and other medical related practices. 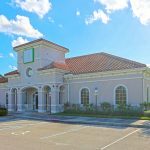 Site features multiple private offices, reception desk, a waiting area, ample parking and a monument sign. This last space will not last long!! 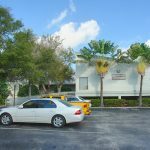 The PSL Professional Center has an exceptional and spacious condo space available for lease. The unit features a reception area, wheelchair accessible restrooms, break room, and individual offices. Ideal for a financial, insurance or real estate agency, health services, travel agency, and other uses under CG zoning. 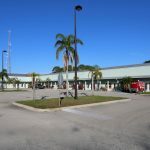 Site has ample parking and great accessibility to US-1. 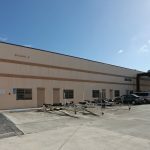 The Key West style Island Bay Center currently has professional office spaces ideal for a real estate firm, law firm, insurance company, and other professional services. Interior features include: reception area, enclosed offices, kitchen/bar, as well as room for storage. 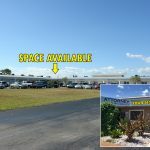 Located on high traffic area with great exposure to SE Port Saint Lucie Blvd. 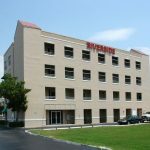 In close proximity to Florida’s Turnpike and government offices. 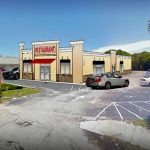 The Adams Place Business Center has limited spaces available for lease ranging from 875 sf to 2,000 sf; ideal for professional services, medical or retail. There is a second generation dental office available. Perfect for a vet/medical/dental practice, physical therapy, spa/personal services and more. Property features well-maintained modern interior and excellent parking, and a monument sign. 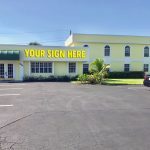 Great frontage to Port St. Lucie Blvd., just west of Morningside Blvd, near the St. Lucie Medical Center. 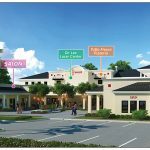 The Sympatico Plaza is a brand new retail development that sits on 17.60 acres of land with excellent frontage to SW Port St. Lucie Blvd. 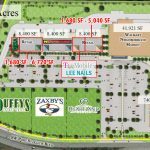 The site will include Pet Supermarket, T-Mobile, and a Walmart Market which will anchor the proposed 25,200 SF total of inline retailers and restaurants. 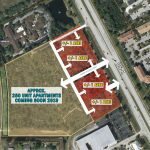 Located in a growing area of Port St. Lucie, the site is surrounded by several residential communities as well as a proposed multi-family development that will be located just behind the Plaza. Construction for the retail spaces are now completed. 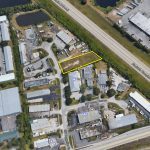 Excellent Industrial Development Opportunity!! 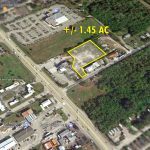 0.71 acre fenced land located in the industrial hub of Palm City. 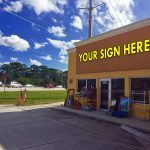 Great accessibility to the Florida’s Turnpike via SW Martin Downs Blvd. Ideal for a number of uses which includes but not limited to a manufacturing plant*, whole sale businesses, storage yards, and offices. 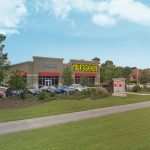 Surrounding tenants include: FedEx Ship Center, Exxon, Ruby Tuesday, and more! Lease spaces available at the Acorn Medical Professional Plaza. Excellent space for professional service establishment or medical related use. Site features signage and bus line. 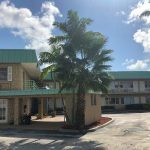 Close proximity to the Lawnwood Medical Center and Indian River State College. 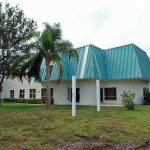 Rare opportunity, medical professional office space overlooking St. Lucie River. Multiple examination rooms and a receptionist desk with a waiting area. High exposure monument sign available on property.